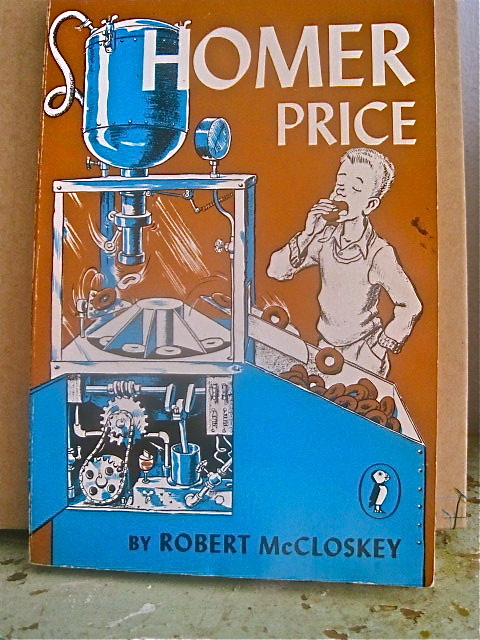 The summer I was seven-years-old, my mom and her twin sister would get into bed with me and my cousin every night and read us stories from Robert McCloskey’s Homer Price. I hadn’t seen that blue crumbly paperback since that summer and when I stumbled across it yesterday at The Strand all kinds of memories came rushing back. Not only memories of how it felt to be tucked in, slightly sunburned with wet hair, or the way Cameron’s ears would get so red when he got tired, but also (of course…) food memories. My and my cousin’s favorite of the stories was “The Doughnuts,” in which Homer’s Uncle Ulysses invents a machine that can make doughnuts at lightening speed. 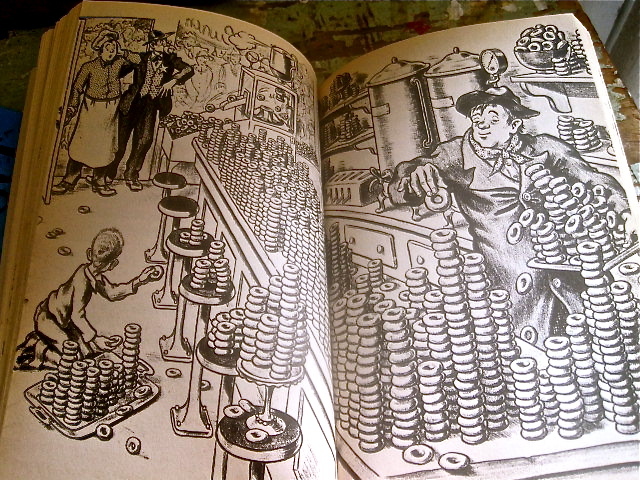 Things go awry when the machine malfunctions and begins spitting out doughnuts faster than they can sell them, and soon the entire store is filled, floor-to-ceiling with doughnuts (not the worst problem). 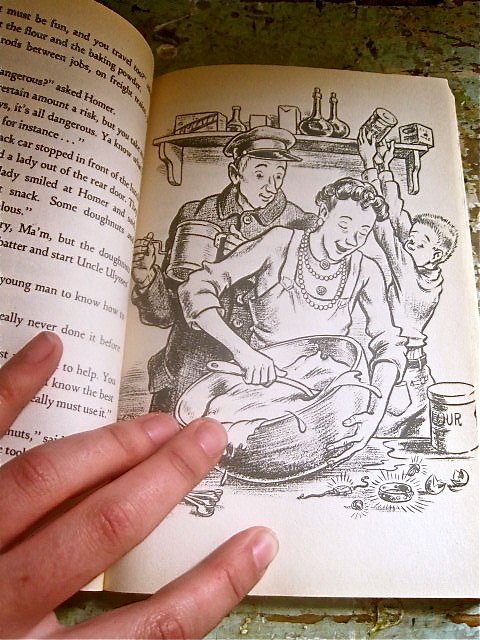 McCloskey not only writes but illustrates the stories and while the entire collection of stories is wonderful, the illustrations for “The Doughnuts” are particularly tempting. Something about those grainy ink drawings on the yellow paper was enough to make my mouth water. 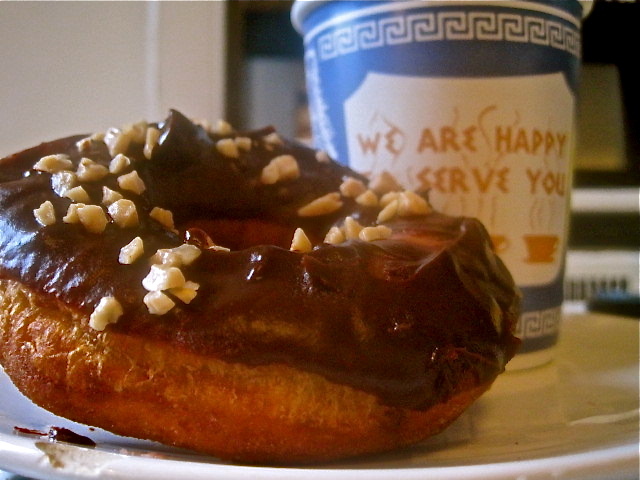 We not only read a lot about doughnuts that summer, we also ate a lot of them. My dad would go to the store and buy boxes of Entenmann’s old fashioned doughnuts, slice them in half, toast them and butter them and pile them high on plates. 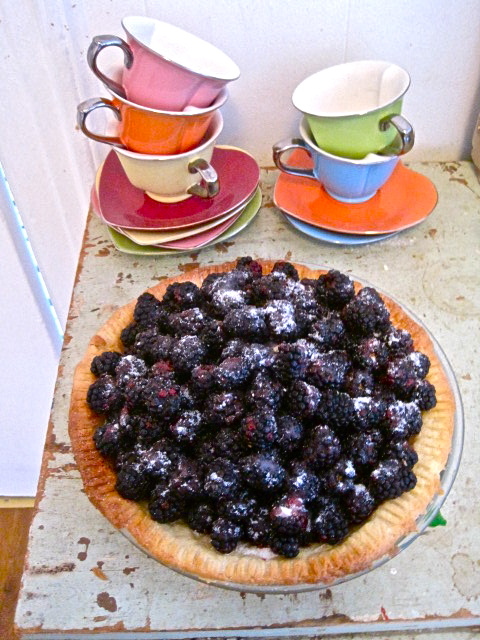 We would eat them with big glasses of whole milk, the adults with big mugs of hot milky coffee. Nothing fueled us up better for long days of hunting for crabs and swimming in the freezing salty North Atlantic ocean. When I happened upon this book yesterday I knew immediately that I had to spend the rest of the afternoon making doughnuts (don’t you ever feel that way?). 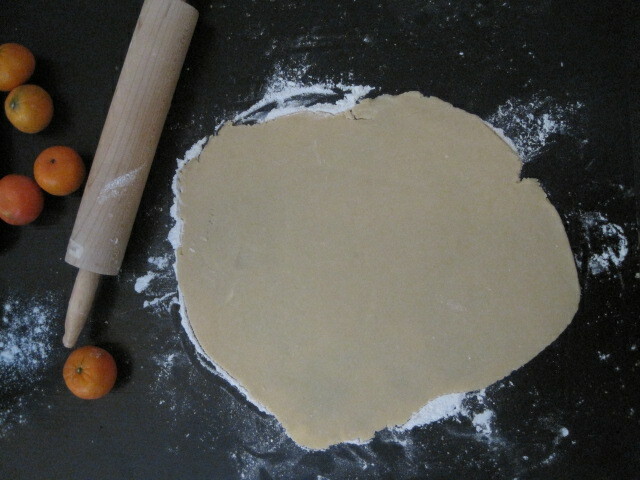 On a lightly floured work surface, roll out the chilled dough 1/3 inch thick. Using a 3 1/2-inch doughnut cutter dipped in flour, cut out as many doughnuts as possible and transfer them to a sheet of floured wax paper. The scraps can be rerolled once to cut out more doughnuts. 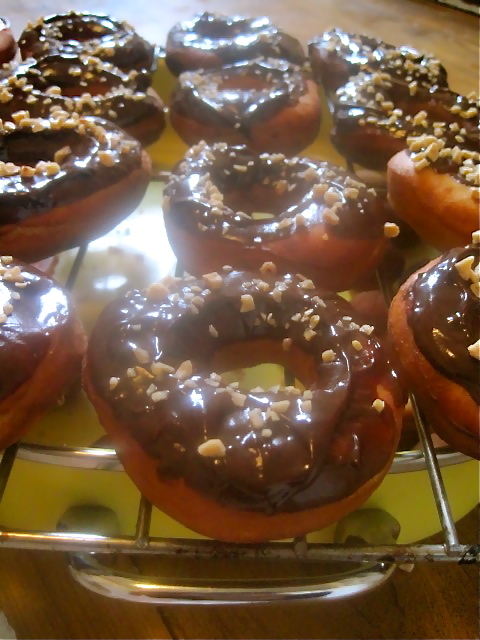 Loosely cover the doughnuts with wax paper and let rise until soft and billowy, about 20 minutes. In a large, heavy skillet, heat 4 inches of vegetable oil to 365°. Line a rack with several paper towels. 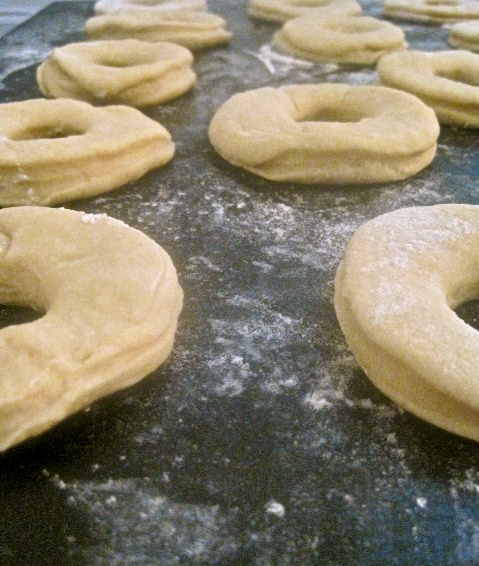 Working in batches, fry the doughnuts until golden brown, about 1 minute per side. Check the temperature of the frying oil to make sure it doesn’t get too hot or cool. Using a slotted spoon, transfer the doughnuts to the paper towellined rack to drain. In the spirit of full disclosure I will tell you that the final result was a little heavier than I was hoping for and lacked that airy sugary goodness that make yeast doughnuts impossible to stop eating. This could definitely be solved by letting the yeast take effect more before adding it into the batter (I was feeling a little impatient). I also think I might have gotten a dud batch of yeast. 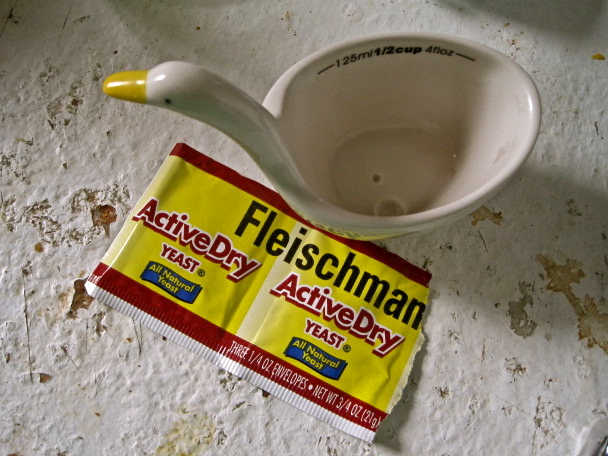 Usually it takes about three to five minutes for yeast to get active and foamy in warm water, but if it isn’t bubbling wait until it does. If it never bubbles, toss it and try a new packet. Also give the dough enough time to rise before rolling it out, really let it double. That being said, the doughnuts were still delicious! Not too sweet, not too fried, and the heath bar added a nice unexpected crunch. It has been unusually windy in New York City these past few days. Yesterday, when I walked into the Union Square Farmers Market I was hit by a big gust of wind thick with the smell of fresh donuts and root vegetables and above all, lavender and it got me thinking about nature as nourishment. Frances Hodgson Burnett’s, The Secret Garden is a book full to the brim with mouthwatering, stomach grumbling foods; “home-made bread and fresh butter, snow-white eggs, raspberry jam and clotted cream…sizzling ham sending forth tempting odors from under a hot silver cover,” “potatoes and richly frothed new milk and oat-cakes and buns and heather honey” (320). 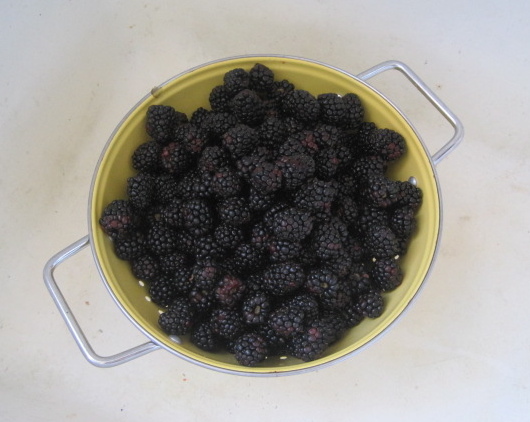 Despite the wealth of food, however, it seems that it is the garden itself that nourishes Colin and Mary and Dickon. The garden not only gives the children a new sense of purpose, the fresh air and physical exertion make them hungry, and they find themselves eating more than they ever have before. After she finds and starts restoring the secret garden Mary, who has just been moved from India to the moors of England after losing both of her parents, quickly begins to change: “I’m getting fatter and fatter every day,” she said quite exultantly. “Mrs. Medlock will have to get me some bigger dresses. Martha says my hair is growing thicker. It isn’t so flat and stringy” (209). Mary begins telling Colin, her young cousin who is afflicted with a mysterious (bogus) illness and virtually parentless, about the secret garden and immediately sees a change in him as well. It is Dickon who insists Colin come see it, saying, “It’d be good for him, I’ll warrant…Us’d just be two children watchin’ a garden grow, an’ he’d be another. Two Lads an’ a little lass just lookin’ on at th’ springtime. I warrant it’d be better than doctor’s stuff” (204). And Dickon is right. Colin is soon restored to full health from his days spent out in the garden. 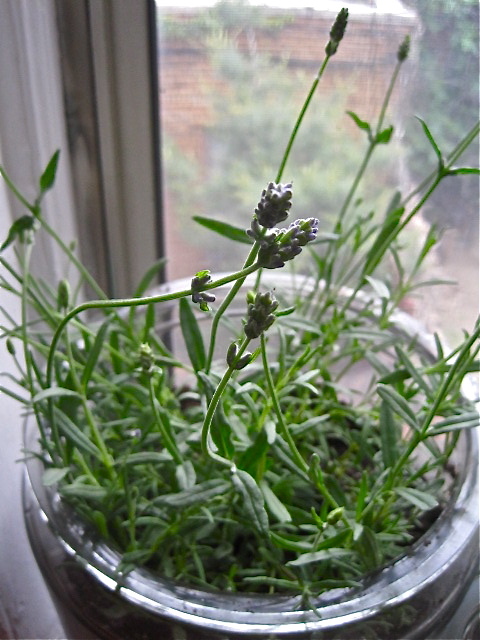 When I smelled the lavender in the market yesterday I couldn’t resist it. 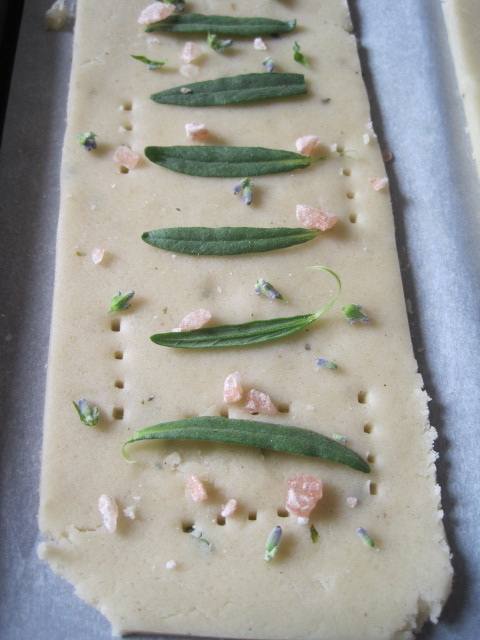 Even though this isn’t a recipe explicitly mentioned in The Secret Garden I thought it was a great way to combine flowers and sweets—plus, what is more English than shortbread and lavender? 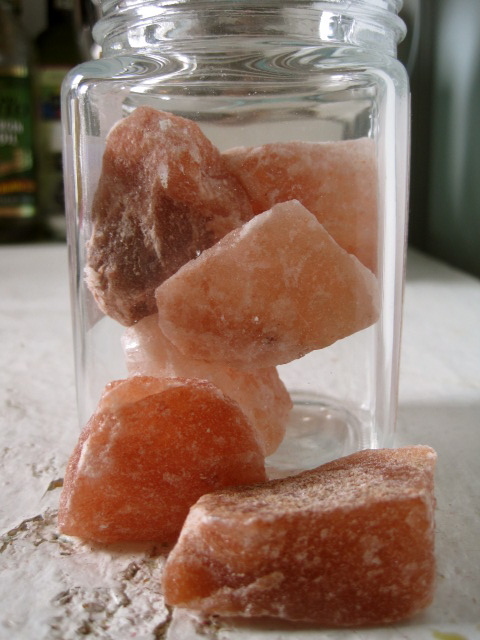 I also could not resist buying some pink Himalayan sea-salt to sprinkle on top. There is nothing more delicious than a salty-sweet shortbread unless it’s a salty-sweet shortbread that comes studded with purple, green, and pink. 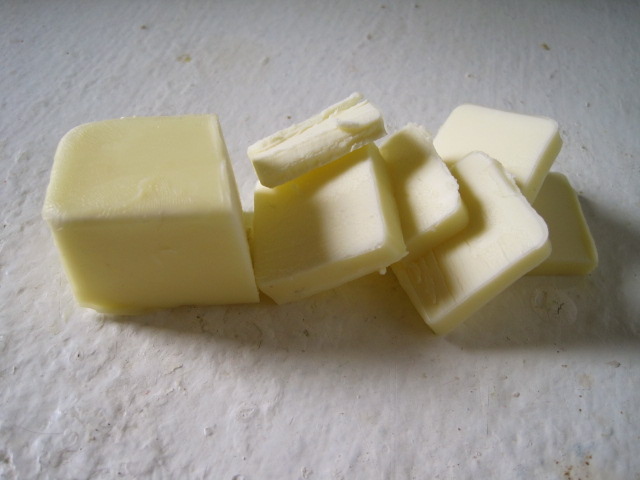 With an electric mixer cream the butter until soft. 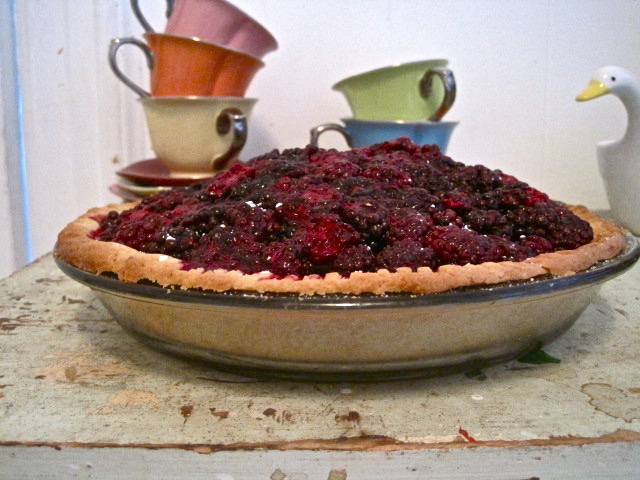 Add sugar and beat until incorporated. 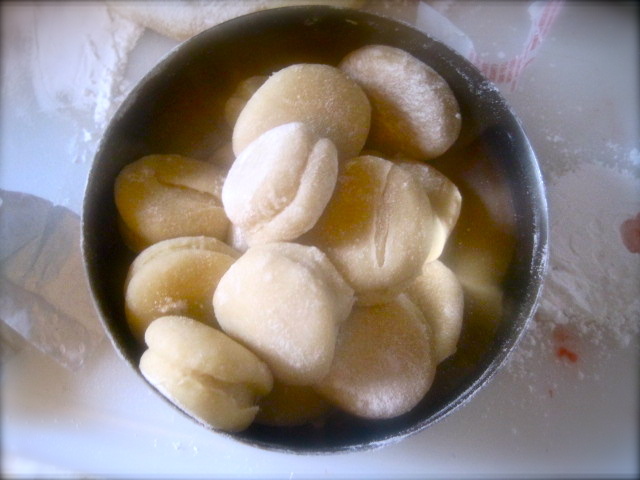 In a separate bowl mix together the flour, lavender buds, lemon zest, salt and cornstarch. 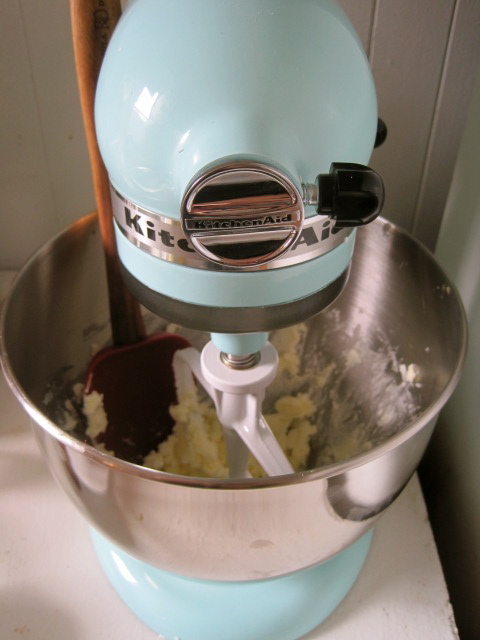 Add flour mixture to butter mixture slowly and mix until dough begins to form. Take dough out of the bowl and place on a piece of floured parchment paper. 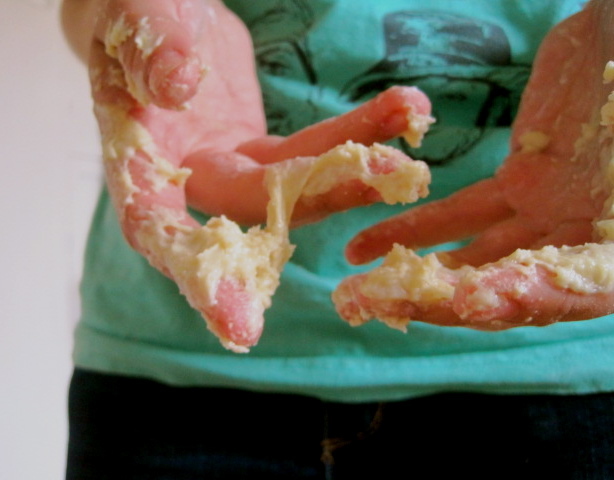 It will be crumbly, so knead it until it forms a nice solid ball. 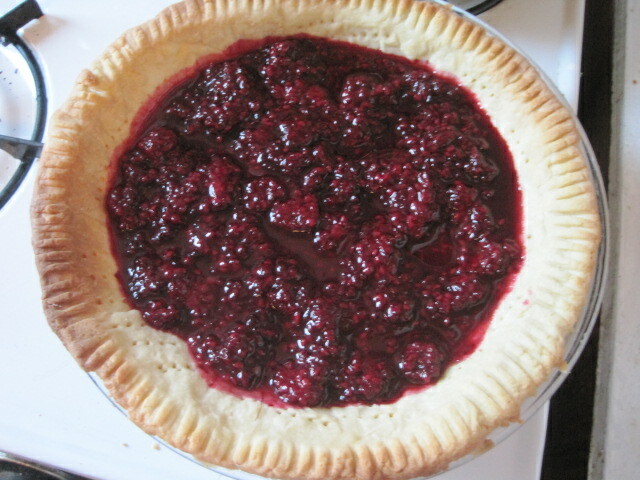 Roll out onto the parchment paper until about 1/4 inch thick. 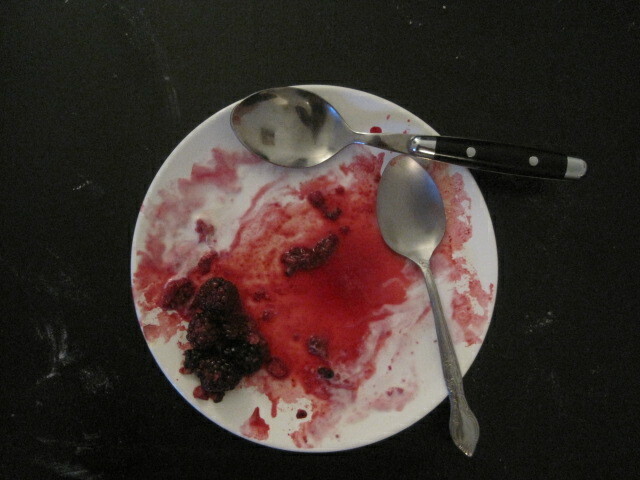 I trimmed the edges of mine to make cutting them into bars easier, but you can keep the edges crumbly if you prefer it. 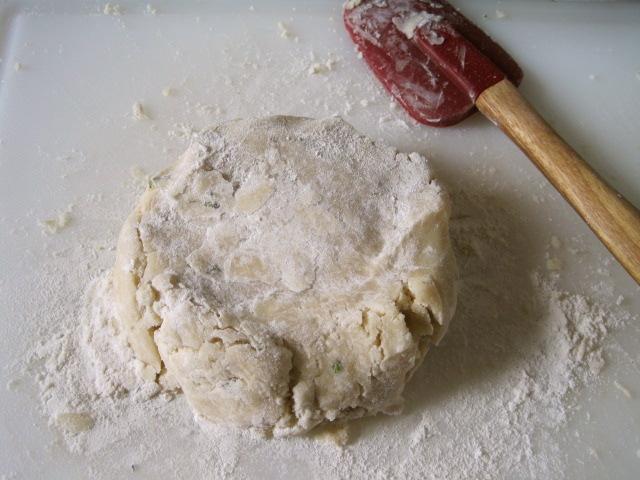 Poke dough all over with the tines of a fork. 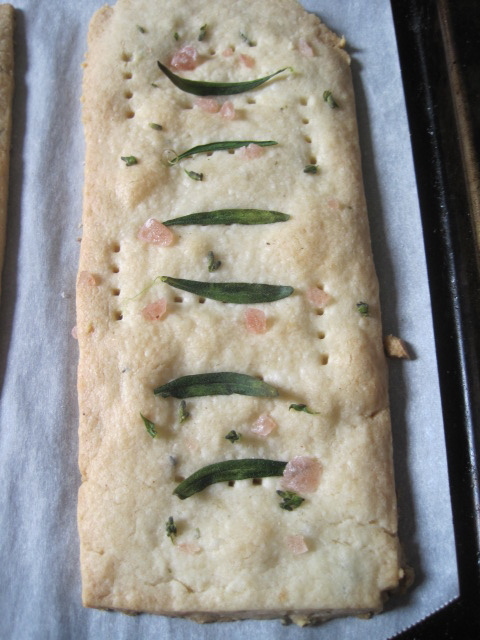 Transfer the dough, still on parchment paper, to your baking pan. 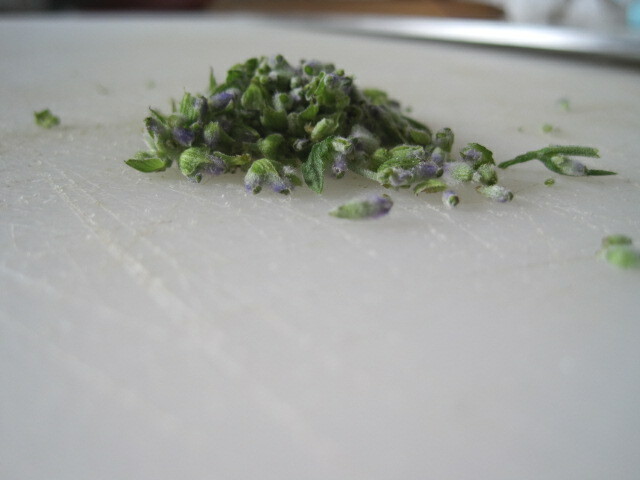 Garnish with lavender buds and sea salt. 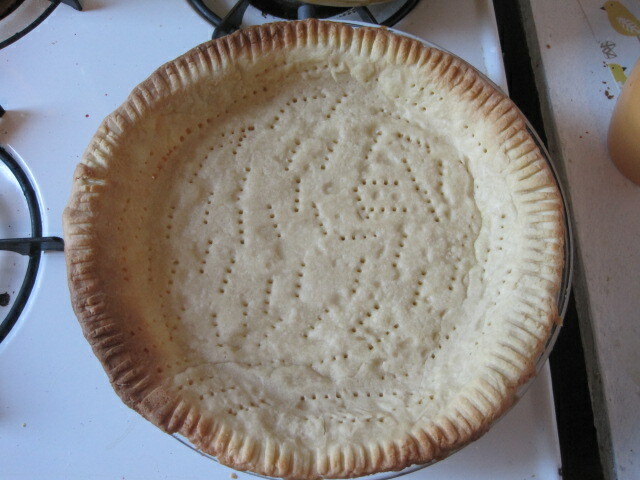 Bake at 350 for about 20 minutes, or until edges brown. 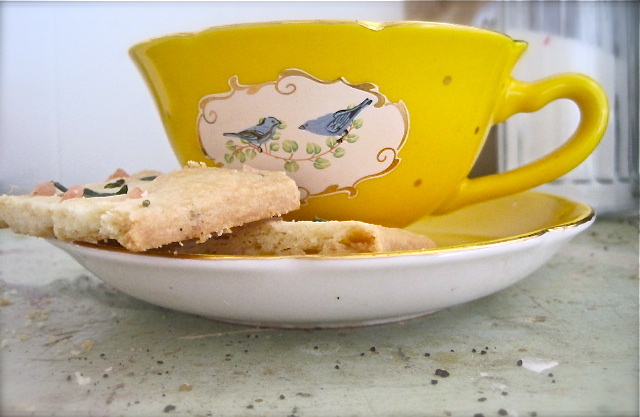 The result is a buttery and crisp crumbly shortbread with just enough lavender and nice kicks of lemon and salt throughout.